Vice President Osinbajo launches patients’ bill of right – Royal Times of Nigeria. Vice President Yemi Osinbajo today launched the Patient Bill of Rights with a call on stakeholders to join hands with government to deliver quality healthcare to the people. Professor Osinbajo made the call at the launching ceremony held at the old Banquet Hall of the Presidential Villa, Abuja. 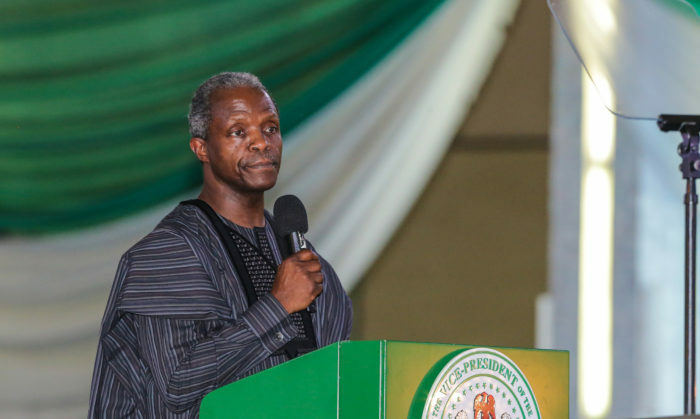 Osinbajo at the event organized by the Consumer Protection Council, CPC noted that Nigeria’s quest to attain universal health coverage goes beyond funding but more importantly about what the public get from it. The Vice President also said government has demonstrated its commitment to universal health coverage by allocating, for the first time in Nigeria, one per cent of the Consolidated Revenue Fund towards the funding of key health initiatives, in compliance with the National Health Act in the 2018 Budget. According to him, the Patients’ Bill of Rights would complement government’s policy and funding interventions. He also stressed the need to preserve human dignity even as a patient receives quality health-care. While commending all those who worked out the Patients’ Bill of Rights, the Vice President called for compliance with the bill.